Join Seattle’s Asian American Journalists Association, the Seattle Association of Black Journalists and KIRO 7 as we award the aspiring student journalists who have won this year’s Northwest Journalists of Color Scholarships, the Patricia Fisher Endowed Scholarship, the AAJA Seattle Founders Scholarship and the Northwest Journalists of Color-KIRO 7 Internship. We’ll hear from keynote speaker Amina Al-Sadi of KUOW’s The Record, and we’ll also invite each of the scholarship winners to briefly speak about their career ambitions. This year’s NJC winners are Hailey Robinson, Ronnie Estoque, Elizabeth Alvarado, Agatha Pacheco and Starla Sampaco, who is also the winner of this year’s Founders Scholarship. Rhea Panela has been selected as the KIRO-TV/Northwest Journalists of Color summer intern. Peter Choi will also be recognized for his outstanding service. Light appetizers will be served. The event will be from 6 to 8 p.m., Thursday May 11 at KIRO-TV. Please RSVP to this Facebook invitation so we have an approximate head count before the event. Hailey Robinson is a freshman at the University of Washington pursuing journalism and Gender, Women, and Sexuality Studies. She is the Social Media Editor for the Daily of the UW, as well as a beat reporter for the sports section. Hailey also writes a column covering social issues in the institution of sports, combining her passion for sports and social justice. When she isn’t writing about or watching sports, Hailey is listening to The Wonder Years or playing with her dog, Wrigley. Ronnie Estoque is a current senior at Cleveland High School in Seattle. He is the current Editor-in-Chief of Cleveland Publications, which is the student-ran media group at the school. Estoque will be a freshman at Gonzaga University this upcoming Fall where he is planning to major in political science and journalism. Born and raised in South Seattle, he currently lives in White Center and is a youth intern with the South Seattle Emerald. Elizabeth Alvarado is a Latina in journalism who is passionate about exploring social issues within her community. 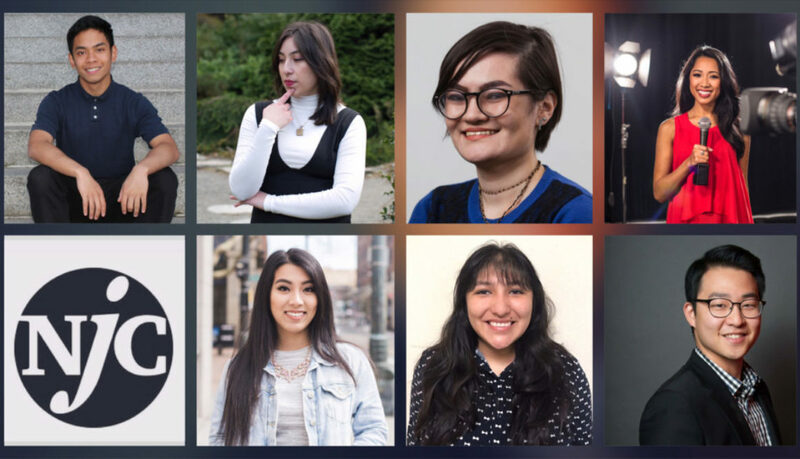 As a journalism student at the University of Washington she’s had many opportunities to write about the Latino community in the Seattle area. As the daughter of farmworkers, she’s always felt strongly about reflecting Latinos in her work because they are often underrepresented in journalism. Her work has been featured in the University of Washington Daily, The Seattle Globalist, College Magazine, The Seattle Lesbian, South Seattle Emerald and Drama In The Hood. This summer she will be interning at CIMAC Noticias in Mexico City through the University of Washington’s Foreign Intrigue internship program. Through her writing, she aspires to give a voice to those who feel they aren’t being heard. Agatha Pacheco is currently double majoring in journalism and political science at the University of Washington. As a student she has received a National Association of Hispanic Journalists scholarship and The Blethen Family Seattle Times scholarship. In the past, as a bilingual intern reporter she covered immigration for The Seattle Globalist. She’s currently the arts and culture intern for The Seattle Weekly. Immigration continues to be her main interest and focus as she hopes to tailor her career toward her expertise on issues pertaining to the undocumented community. Rhea Panela studies journalism with minors in English and diversity at the University of Washington. She has served as the diversity beat reporter for The Daily, the UW’s student-run newspaper, and interned at the International Examiner newspaper and What’s Good 206, a media partner of Cascade Public Media. Currently, she is a Student Voices columnist for The Seattle Times’ Education Lab. As a first-generation college student and the daughter of Filipino immigrants, her upbringing in south Seattle exposed her to the struggles and economic disparities faced by diverse, low-income and immigrant communities. She is pursuing a career in broadcast journalism to shed light on both issues and success stories in racial/ethnic minority communities. How diverse are our local newsrooms? When we talk about diversity in media, there’s a specific question that often gets lost: Do our newsrooms actually reflect the diversity of the communities we cover? Today, we’re asking that question of newsrooms that primarily cover the Seattle metropolitan area. We know anecdotally that the answer is no, but if we are serious about finding solutions, we need our conversations to be as informed as possible. And for that, we need hard data. Increasing diversity in media means bringing in more voices, backgrounds, and perspectives of all types. However, given that many recent discussions of newsroom diversity?—?both on social media and in our community?—?have focused on race and gender, we chose to specifically focus on these facets of diversity in this report. Do you have suggestions for how we can better report these numbers on a regular basis? Shoot us an e-mail using our contact information below. This report was written by Anika Anand and Audrey Carlsen in collaboration with the Asian American Journalists Association (AAJA Seattle).